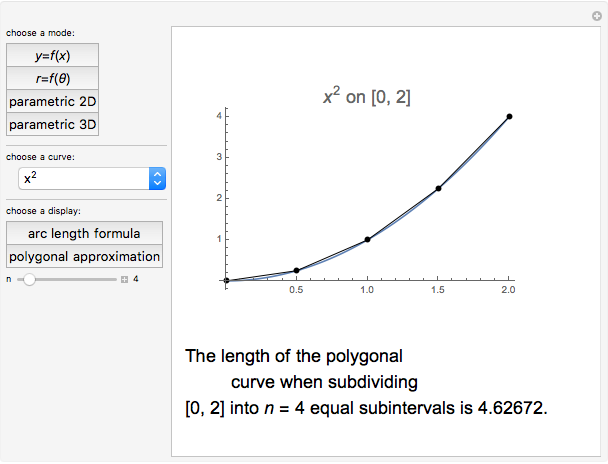 This Demonstration shows polygonal approximations to curves in and and finds the lengths of these approximations. 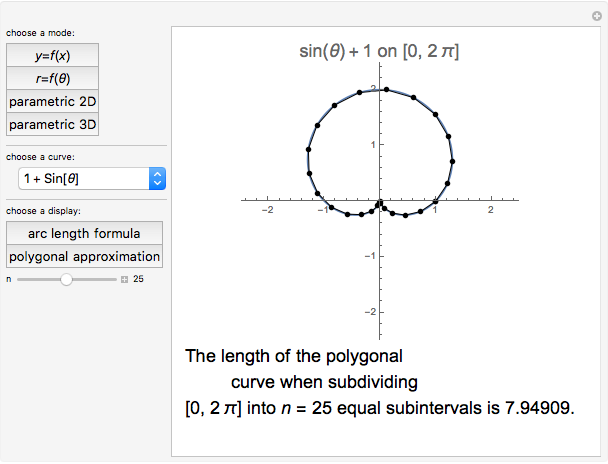 These lengths are approximations to the arc length of the curve. Increasing the value of (the number of subintervals into which the domain is divided) increases the accuracy of the approximation. To get started, choose a "mode" (the type of curve you want to explore). Choices are curves defined by a function , by a polar function , and parametrically defined curves in and . Then choose a particular curve from the dropdown menu. 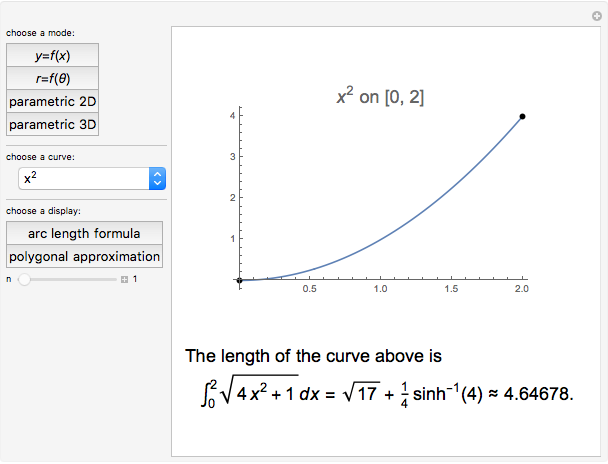 Pressing the "arc length formula" button displays the integral needed to find the exact arc length. A typical arc length integral has an integrand that has no elementary antiderivative. However, most examples in this Demonstration were chosen so that the integral can be evaluated using the fundamental theorem of calculus. In these cases, an exact answer is provided together with a decimal approximation. Otherwise, only a decimal approximation is provided. Marc Brodie "Arc Length and Polygonal Approximations"